I had never really thought of the fact that diabetics have different skin care needs. That is, until recently, one of my diabetic readers asked me if I had any suggestions as to which skin care products would work the best for her extremely dry skin. I did a bit of research, and learned about CeraVe®'s Diabetics' Dry Skin Relief line. I have definitely learned some valuable information, and I am happy to pass it on. CeraVe®, a skincare brand owned by L'Oréal, has announced four new products joining its expansive portfolio of therapeutic skincare products in late 2018, including a Hydrating Hyaluronic Acid Serum and a Diabetics' Dry Skin Relief line, which includes a Moisturizing Cream, Hand and Foot Cream and a Cleansing Wash. The Diabetics' Dry Skin Relief line was developed to address the specific skincare needs of people with diabetes and help reduce their risk of skin complications, which diabetics are prone to. According to a National Health Interview Survey, diabetes currently affects 29 million adults and the CDC predicts this number may grow to one-in-three adults by 2050, as 86 million others have already been diagnosed with prediabetes. Amongst the many symptoms diabetic sufferers can experience are skin itchiness, dryness, cracking and bruising caused by the decrease in their skin barrier's function. Diabetics are also more susceptible to bacterial and fungal infections, which can be easily contracted via cracks in the hands and feet making skincare an added concern for them. "As the number of diabetes sufferers continues to rise, it was important to us that we develop this trio of products to help this growing segment of consumers seeking specialized skincare," said Derrick Booker, Vice President of Marketing at CeraVe®. "We know that people with diabetes have unique skincare concerns and these new products demonstrate our commitment to providing diabetes sufferers with affordable and therapeutic skincare offerings." Each product in the line contains a combination of three essential ceramides, plus bilberry and urea which help to soothe the skin and deliver long-lasting moisturization. Bilberry is antioxidant-rich and known for helping to diminish bruising, while urea is a natural moisturizer that adds and retains moisture. The Hydrating Hyaluronic Acid Serum, created to help consumers counteract the lifestyle habits that dehydrate skin, such as stress, weather and diet, is also set to hit shelves in late 2018. The formulation replenishes skin with hyaluronic acid, a powerful and popular hydrating ingredient that moisturizes dull and dehydrated skin and locks in moisture to prevent water loss. The serum also contains vitamin B5 which aids skin in achieving a more supple and radiant appearance. The four new products join the brand's large portfolio of more than 40 therapeutic skincare products spanning moisturizers, cleansers, serums, sunscreens and baby products. The brand also offers products specifically formulated to treat certain skin conditions, including eczema and psoriasis. All CeraVe® products are developed with dermatologists and contain ceramides 1, 3 and 6-II, which help repair and restore the skin barrier. CeraVe® products, including the latest launches will be available at Amazon and mass retailers nationwide. I personally already love CeraVe® products, and completely trust this brand. I was given the chance to review the Diabetics' Dry Skin Relief line, and it is wonderfully hydrating! I was planning to keep it for myself, but my sister-in-law just came for a visit, and she is diabetic. I decided to pass the products on to her, and she is beyond pleased with them. She has very sensitive skin, as well as dry, and she loves the products, so I am happy to share. For more information about CeraVe® visit www.cerave.com. Founded in 2005 and developed with dermatologists, CeraVe is the first and only brand to offer a complete line of products containing essential ceramides and patented MVE technology to help restore the skin's natural protective barrier. CeraVe has a full line of skincare products to follow the dermatologist-recommended steps of: cleanse, treat and moisturize. The brand's mission is to provide therapeutic skincare for all. L'Oréal has devoted itself to beauty for over 100 years. With its unique international portfolio of 34 diverse and complementary brands, the Group generated sales amounting to 25.8 billion euros in 2016 and employs 89,300 people worldwide. As the world's leading beauty company, L'Oréal is present across all distribution networks: mass market, department stores, pharmacies and drugstores, hair salons, travel retail, branded retail and e-commerce. Research and innovation, and a dedicated research team of 3,870 people, are at the core of L'Oréal's strategy, working to meet beauty aspirations all over the world. L'Oréal's sustainability commitment for 2020 "Sharing Beauty With All" sets out ambitious sustainable development objectives across the Group's value chain. 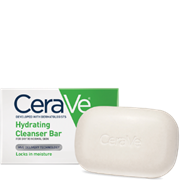  CeraVe Declares NATIONAL CLEANSE YOUR SKIN WEEK! Did you know that August 1 – 7 is NATIONAL CLEANSE YOUR SKIN WEEK? I didn't either, but now that I do, I am going to celebrate it by washing the heck out of my face with my new CeraVe® skin cleansers. The weather is hot and I am sweating! I could definitely use a deep facial cleansing, among the rest of my body. 18 and over to look at overall awareness and general habits and practices solely focused on facial cleansing. The study reveals that, despite the abundance of skin care products available and information dedicated to the topic, most Americans don’t take proper care of their skin. Also apparent is the huge need for education on ingredients as well as the critical role of proper facial cleansing to maintain healthy skin. Only CeraVe® delivers ceramides through an exclusive patented, controlled-release unique technology that penetrates the skin’s surface to help rebuild the skin’s protective barrier and lock in moisture. Your cleansing routine is the first step in building and maintaining healthy, strong skin. CeraVe® tapped into top dermatologists to provide tips for better cleansing. 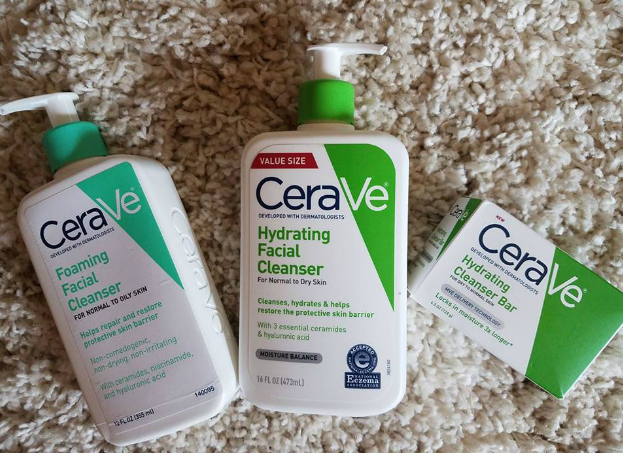 I was given the chance to review CeraVe Foaming Facial Cleanser, Makeup Removing Cleanser Cloths, Hydrating Cleanser Bar, Hydrating Facial Cleanser. 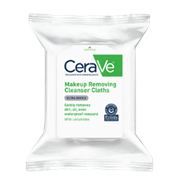 “I always keep a pack of CeraVe Makeup Removing Cleansing Cloths in my bag for makeup touch-ups throughout the day and quick cleansing after the gym or travel,” says Dr. Sherry Ingraham. “During the hot Texas summers, I will keep a pack in my refrigerator at home for a refreshing makeup removal before I cleanse. The cloths are great because they are gentle without over-striping or disturbing the protective skin barrier." “For drier or more mature skin, CeraVe® Hydrating Facial Cleanser is great for gentle cleansing without risk of drying,” says Dr. Dendy Engelman. “Apply to damp face, massage into skin in an upward and outward motion, and rinse. Exfoliates and cleanses while ceramides help restore your skin barrier. Good for normal skin as well as acne or psoriasis prone skin. Exfoliates, detoxifies and gently cleanses the skin of dirt and oil without the use of harsh microbeads. Enriched with antioxidant Vitamin D, it’s hydrating, fragrance-free and non-irritating. “The skin on your elbows, knees, and heels are among the thickest on the body,” says Dr. Joshua Zeichner. “Subject to wear and tear, the skin there commonly becomes thick, rough, and often uncomfortable for many patients. Salicylic acid is a beta hydroxy acid that helps exfoliate dead cells that accumulate on the surface of the skin and contribute to the thick skin that develops. National Cleanse Your Skin Week, now in its second year, is officially listed on the National Day Calendar with the sole mission of bringing heightened awareness to the importance of proper skin cleansing. I have been using CeraVe® products for several years, and they are the brand that my daughters and I always go back to. CeraVe® is high quality, effective and very affordable. Plus the bottles of product are larger, and last a long time! I just discovered an amazing new product from Shea Terra called Rose Hips Black Soap Deep Pore Face Wash and Mask. Given how much I love deep down facial cleansers, this one is at the top of my list. I cannot believe that I did not know of its existence until now! I love it. This miracle facial cleanser is actually many products all in one. It is a deep pore cleanser, a toning and firming mask, and microdermabrasion in a bottle. It even fights acne. Based on anancient African formula, using REAL African Black Soap, this wash works like amicrodermabrasion to get rid of dead skin,even skin tone, firm skin and fight acne. Look younger in just minutes of use. South African Rose Hips Oil makes calms skin and works wonders on maturing skin. This is one product that Tammie, Shea Terra Organics' founder, will not leave the house without using. Roughly a decade ago one of her clients brought her authentic African soap from West Africa. Yes- authentic- and yes- black. She had heard of black soap throughout her childhood but was very weary about its actual effectiveness. Her client had traveled Africa extensively, collecting various skin care regimens and other indigenous African products. He claimed that African black soap got rid razor bumps, discoloration of the skin, and much more. Tammie was reluctant to try the black paste but eventually decided to give it a try. She was astonished by its results and continues to use the soap herself daily. Dealing with aging and hormonal fluctuations, Tammie can not imagine life without African Black Soap. The feedback she has received from her clientele over the years never ceases to amaze her. From teenagers plagued with acne, to aging men and women, to people looking to get rid of chemicals in their lifestyle, products made with authentic African black soap has changed the lives of many. But wait! What really is African black soap? There is a lot of misconception about what black soap is. This product is so effective that there are even companies racking up on millions of dollars selling fake black soap- neatly shaped, hard bars dyed black. Black soap comes in a few shades, from very black to brown. The base of the soap- ashes of plaintain and cocoa pods, determines the final color. Lighter brown versions often use less of the ashes. Tammie sources her black soap from the Yoruba tribe in Nigeria who are believed to have been the original makers of this black soap. Believed to be descendants from Egypt, the Yorubans carried their knowledge of herbal medicine westward. They developed black soap to cleanse the skin from harmful parasites, etc. Today they still cook it up in traditional manner by first creating the ash and then cooking the ash with oils such as shea butter to form the final product. Tammie's original Rose Hips Black Soap Deep Pore Facial Wash & Mask has changed little since its original inception. But like with all of Tammie's products, she always looks for ways to better improve her original formulas as she discovers more effective skin care ingredients throughout Africa. Rose Hips Black Soap Deep Pore Facial Wash & Mask begins with authentic African black soap combined with certified organic rose hips seed oil and crushed rose hips fruit. Rose hips oil is used for its cell regenerative properties, producing skin which is healthier as cells divide. She next adds aloe ferox for its anti-aging, healing properties. Sustainably ourced from South Africa, aloe ferox is known to be the world's most active aloe. She also adds certified organic rooibos tea, high in anti-oxidants, kigellia Africana for its skin firming properties and licorice root for its ability to even skin tone. Once applied to skin, the wash breaks down the sebum which holds on dead skin and debris like glue. Removing layers of skin, the face instantly looks years younger, firmer and has a healthy pink glow. I love how my skin looks and feels! So you see, I was definitely intriqued when I read about the many benefits of using this product. I took my Rose Hips Black Soap into the shower with me and lathered up my face, neck and chest with it. Following directions on the bottle, I proceeded to leave it on for ten minutes. I definitely looked interesting, almost like I was covered in mud, but beauty isn't always pretty, is it? I thorougly rinsed and I am not kidding, my skin was softer and cleaner than ever! I am absolutely thrilled with this product, and I will continue to use it. I am so glad that I found such a great beauty staple, and it shall be a part of my beauty regimine forever! EmerginC pomegranate gel cleanser is a truly amazing and refreshing deep facial cleanser. It is formulated with all natural ingredients to cleanse your delicate facial skin with fruit and plant extracts to clean the skin without drying. Use it both morning and night to remove your make-up and to prepare your skin for your daily or nightly creams, serums or treatments. active ingredients: Lemon peel extract, pomegranate extract, blackberry extract, matricaria extract (chamomile), green tea, licorice, arnica, calendula, echinacea, citric acid. I love the way EmerginC Pomegranate gel cleanser makes my skin feel. Truly an at home spa experience for my skin. I have noticed that by using this product regularly, I do not tend to break out as much as I used to, especially around my period time. It is convenient to use in the shower. I love this product! You can purchase EmerginC Pomegranate gel cleanser here. Want to WIN your own EmerginC Pomegranate Gel Cleanser? Easy! Just Enter below using Rafflecopter!!!! * I was sent a sample of this product to test and to keep. The opinions are my own.